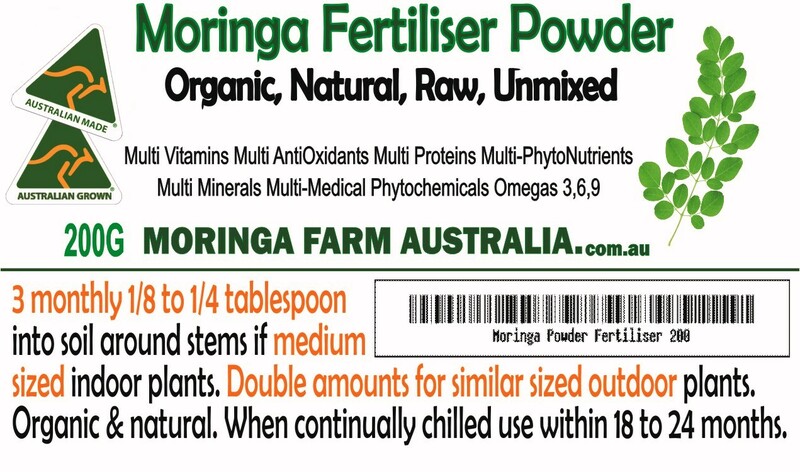 Arguably the best amongst all the naturally derived fertilisers. 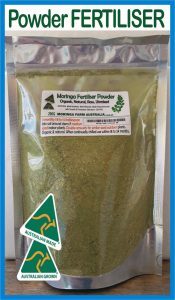 Ideal for indoor plants where, depending on plant sizes, 1/8 to 1/4 tablespoon of powder to be applied into the soil around the stems. Repeat 3 monthly. Same principles for outside nurseries but with double the amounts to be applied. 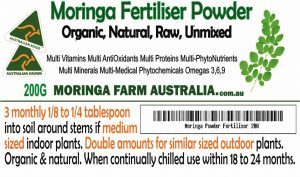 Apart from containing such multiples of nutrients for plants; importantly, Moringa also contains the cell producing agent called Zeatin. 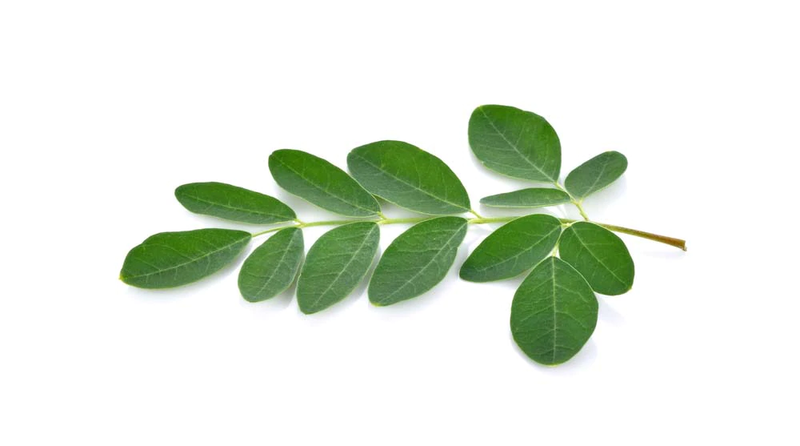 Zeatin makes new skin cells grow at a faster rate than old skin cells die in humans, but has been shown to make plants grow better and more productive.